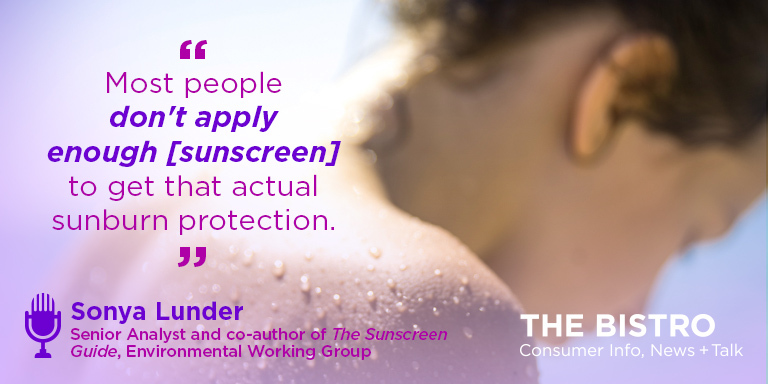 Sonya Lunder, Senior Analyst at Environmental Working Group and co-author of The Sunscreen Guide, talks to us on The Bistro about how to truly to stay safe while we are having fun in the sun. You’ll be amazed to learn how your sunscreen may not be protecting you as much as you thought. Be a savvy consumer and find out which products are actually defending you.